A brand new team travels to another galaxy to find the lost city of the Ancients, a dark new enemy, and countless new worlds populated by humans. 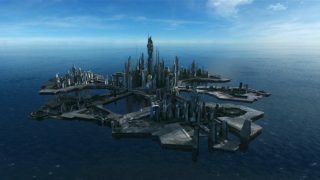 After an attack by the Wraith and new contact with Earth, the Atlantis base faces key changes in leadership and personnel. The team embarks on new adventures in the Pegasus Galaxy -- and encounters a sinister new foe. The conflict with the Replicators becomes a galaxy-wide crisis -- and an alliance with an old enemy may be the only way to stop them. Old enemies are on the run, making way for powerful new groups to emerge from hiding.